All of you who had the opportunity to travel in Japan or live there will agree in the same way: Japanese service is absolutely impeccable. There are only few examples where the customer is not served quickly, efficiently and politely. 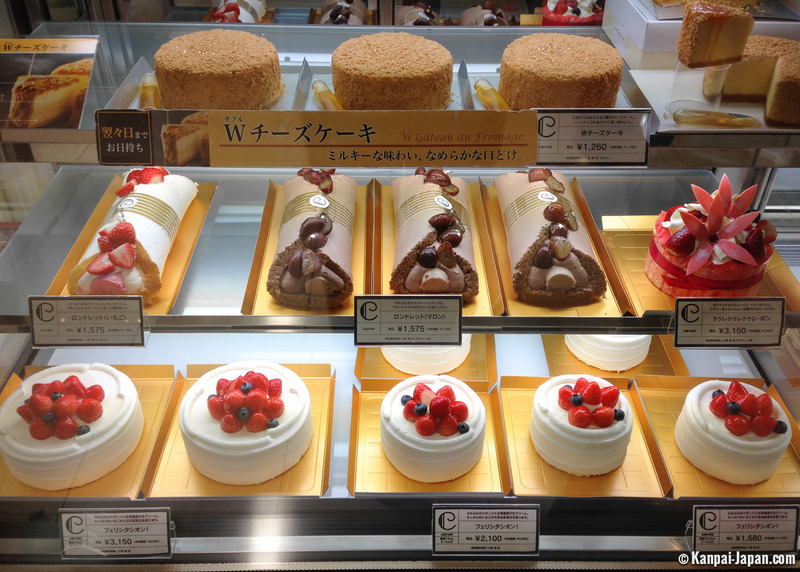 Sometimes, the quality of service goes even further and we'll be exploring this through Japanese cakes. 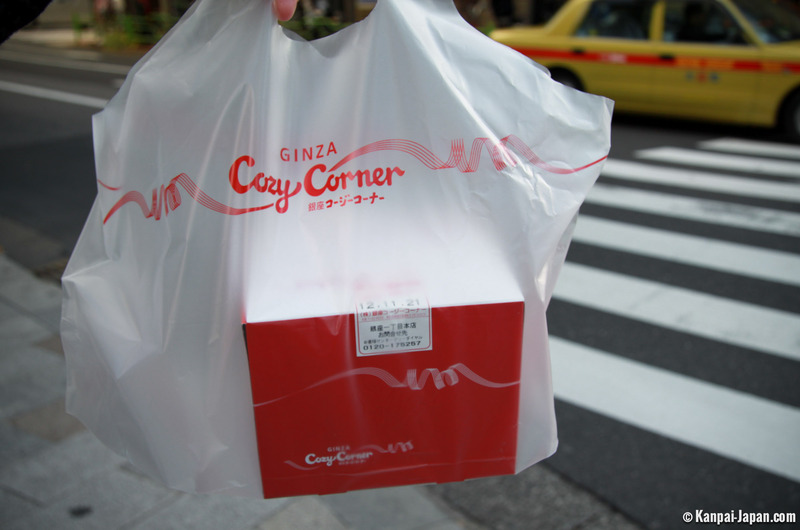 Many of those who don't know Japan very well are surprised that Japanese cuisine leaves a significant part to sweets. 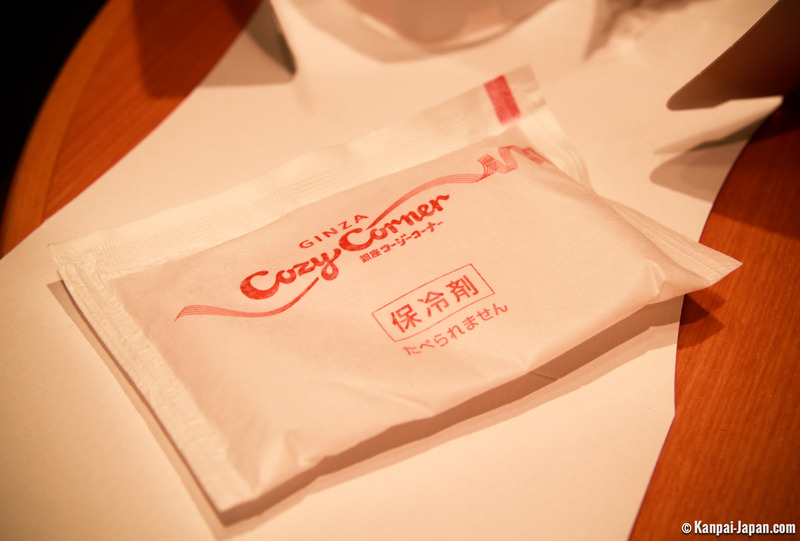 They play quite an important part in their food habits and many Japanese desserts can be bought in supermarkets and konbini. 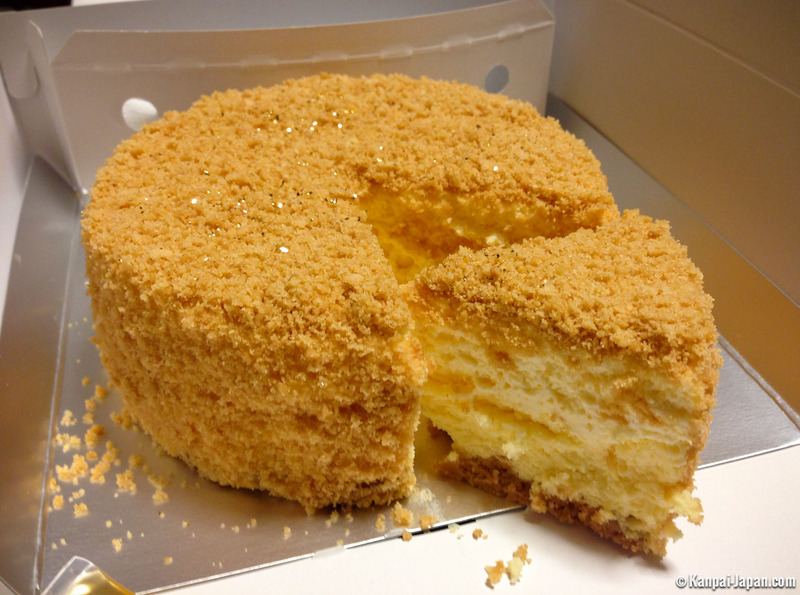 How it's served in a pastry shop in something else. 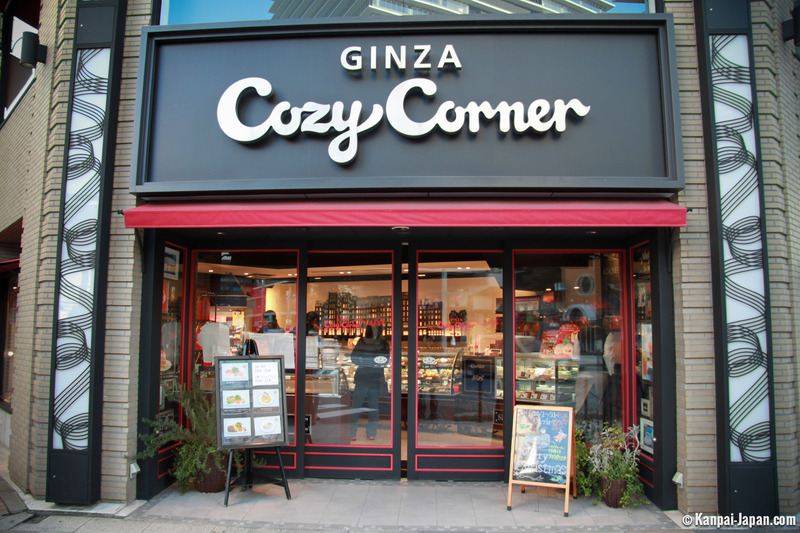 Let's take the example of "Cozy Corner" on Chuo-dori Avenue, Ginza, Tokyo (many stores in Japan work the same way). First, obviously, is the selection phase. 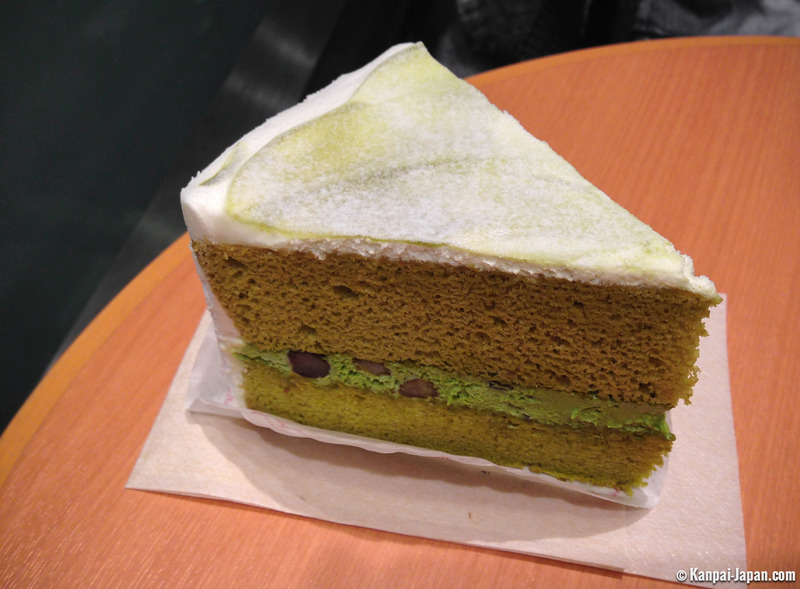 Japanese desserts offer a rich range of color and ingenuity. The names of these wonders might also get a frank smile from you. Take the example of this cake in the main photo above, entitled "très très très bon" in French (which means "very very very good"): a white chocolate mousse accompanied with strawberry jelly and fresh fruit overhung with whipped cream. I can hear your taste buds salivating ! 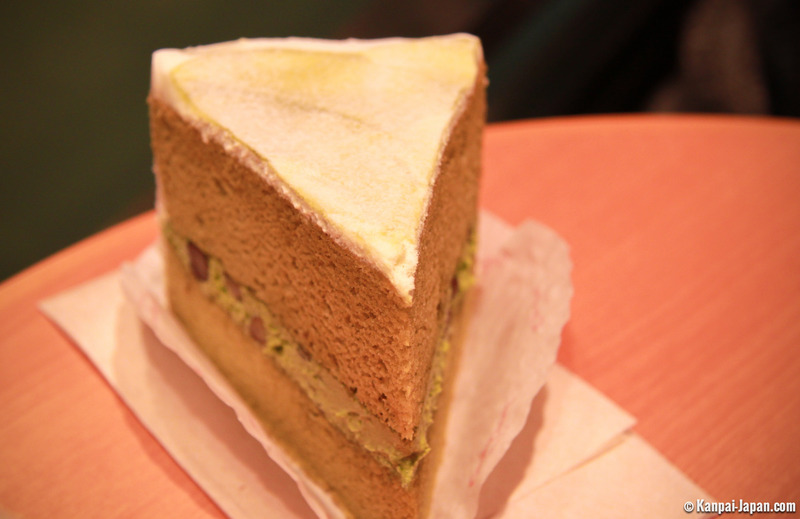 When you have chosen the cake that you find most appealing, you can ask the seller to prepare the full or only one slice. Your will then be asked how long you plan on keeping it with you before eating. 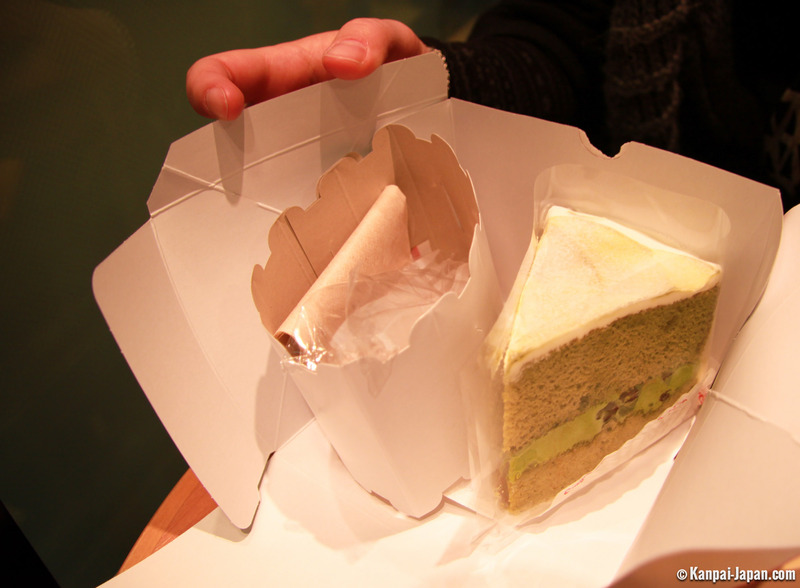 Depending on your answer, (s)he will then add in the box ice for refrigeration, or at least to prevent the cake to lose its freshness. The whole is wrapped with a plastic spoon and a paper towel in a separate compartment of the box, which is itself sealed with precision. 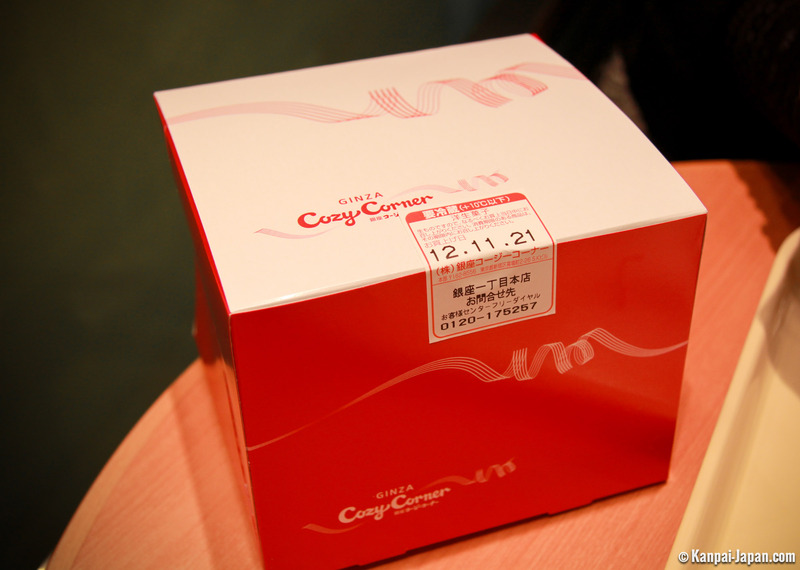 If there is some dressing, for example a small vial of honey, it will be added inside the box too. Tasting is only more enjoyable. 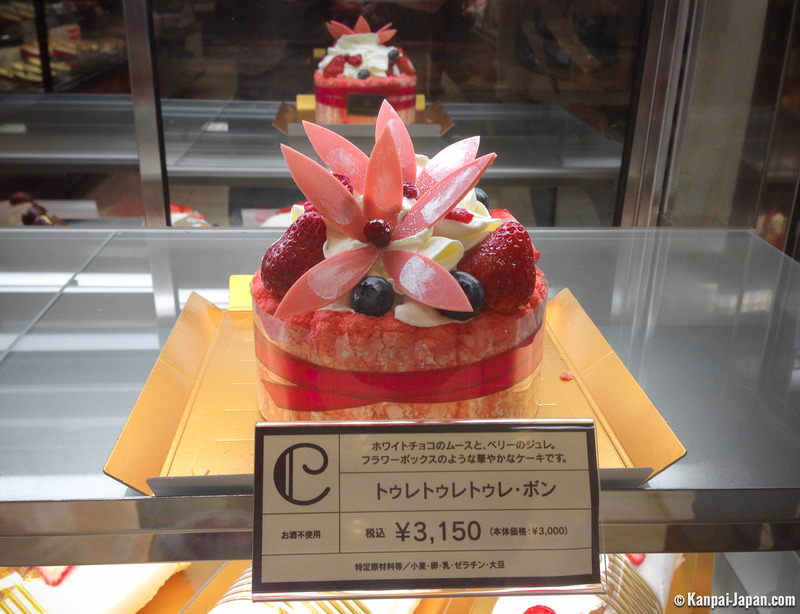 And not to spoil anything, like many other examples in Japanese restaurants, the prices of Japanese pastries are often quite correct for the level of aesthetic and gustatory quality provided.